When I visited Perth, Ontario last month I was lucky enough to catch a performance during the Classic Theatre Festival after having dinner at The Masonry. The Classic Theatre Festival entered their 5th season in Perth this year. The Classic Theatre Festival is a project by Burning Passions Theatre, which is actually a registered charity. As a registered charity, Burning Passions and The Classic Theatre Festival believe in locally supporting the communities in which they produce. After a year of research, Burning Passions Theatre chose Perth to be their new home. Perth was a perfect choice for Burning Passions Theatre as it has a rich theatre heritage. In fact, Perth has four theatres in town! FUN FACT: This theatre production features some of Canada's top theatre artists, many of who you may have seen on other professional stages, as well as on TV or even in films! 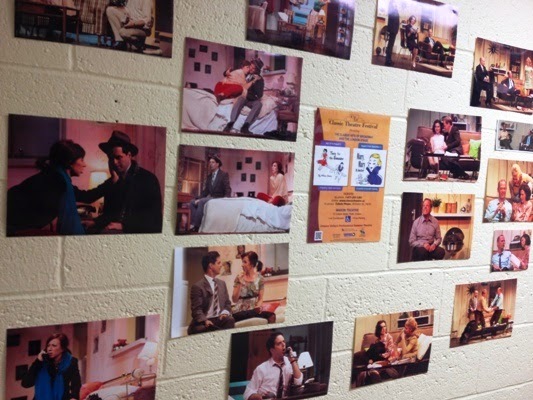 When I walked into the theatre, the walls were lined with pictures and work from previous productions. Many of which were actually from the world-renowned Stratford Festival! 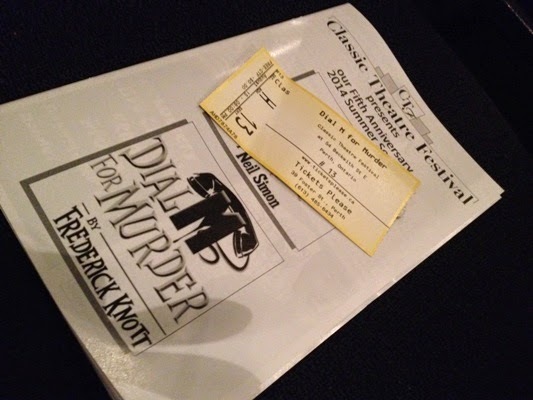 This year, The Classic Theatre Festival produced their very first murder mystery, Dial M For Murder. Originally written by playwright Frederick Knott, Dial M For Murder was originally on a London stage as well as Broadway in 1952. It was actually turned into a Hollywood movie, directed by Alfred Hitchcock and starred Ray Milland and Grace Kelly! Dial M For Murder was really quite good! I mean, there was a love affair, deception, MURDER...what more could you ask for in a show? LOL! It was an intimate performance, as the theatre is not too large. I spoke with some of the other patrons after the show and many had come in from Ottawa specifically to see the production. Everyone I spoke to enjoyed the show thoroughly and the crowd actually gave a standing ovation at the end! You can learn more about The Classic Theatre Festival HERE! 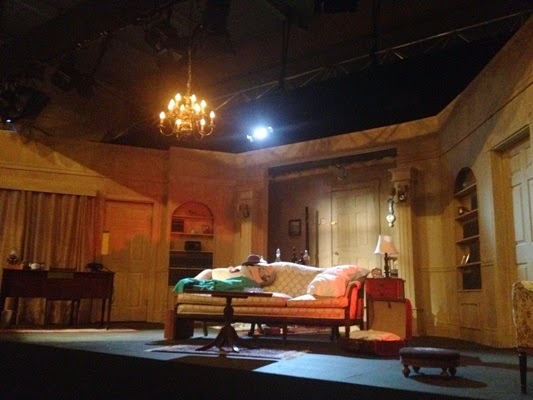 Have you ever been to a stage production in Perth, Ontario? What has been your favourite play that you've seen live? Disclaimer: My theatre ticket was complimentary, however - as per usual, my views are entirely my own and the show really was entertaining!